Now that Porsche is expanding their SUV lineup, some early renderings of that model are now beginning to appear. 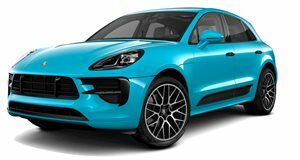 Supposedly called the Cajun, this new small SUV from Porsche will share a platform with the Audi Q5. In the case of these renderings, the artist clearly combined the current Q5 with styling traits from the all-new Cayenne. The result is a distinctively Porsche in terms of front and rear-end styling, but it seems the overall silhouette still bears a strong resemblance to the Audi. It&apos;ll be interesting to see what Porsche plans to do in order to differentiate the Cajun further from the Q5. Styling, however, is perhaps the most interesting aspect for one simple reason, and his name is Walter d&apos;Silva. The former Alfa Romeo designer, who now heads design for the Volkswagen Group, is said to be quite eager to have the chance to work on a Porsche. Since VW now controls Porsche, d&apos;Silva will finally have the opportunity to lend his talents to a brand that could benefit from an Italian touch.